Tours — Sketchbook Brewing Co.
Sketchbook offers monthly tours on 2nd Saturdays, at 3 pm. 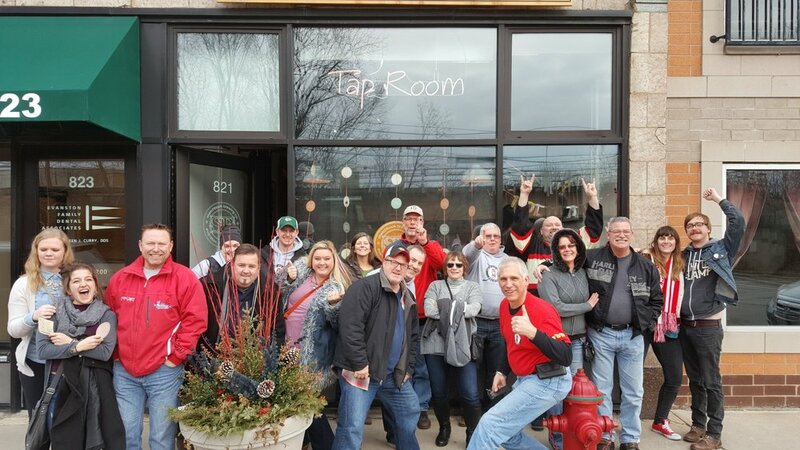 Tours begin Tap Room (821 Chicago Ave.) and then travel behind-the-scenes to our alley brewery. The Chicago Reader included our tour in their roundup of Chicago's best! Hear about Sketchbook’s commitment to sustainability. The $10 fee includes an up-close-and-friendly one-hour tour at Sketchbook’s small production brewery, complete with three free 8 oz. samples. Then, up front in the Tap Room you'll get one FREE full pour and leave with one of our 12-oz. Belgian glasses. Check out our Events & Announcements for any scheduled tours and call us to schedule a private tour. A minimum of 8 people is required to schedule a group for a tour. Call (847) 859-9051 or email us to set up a time.